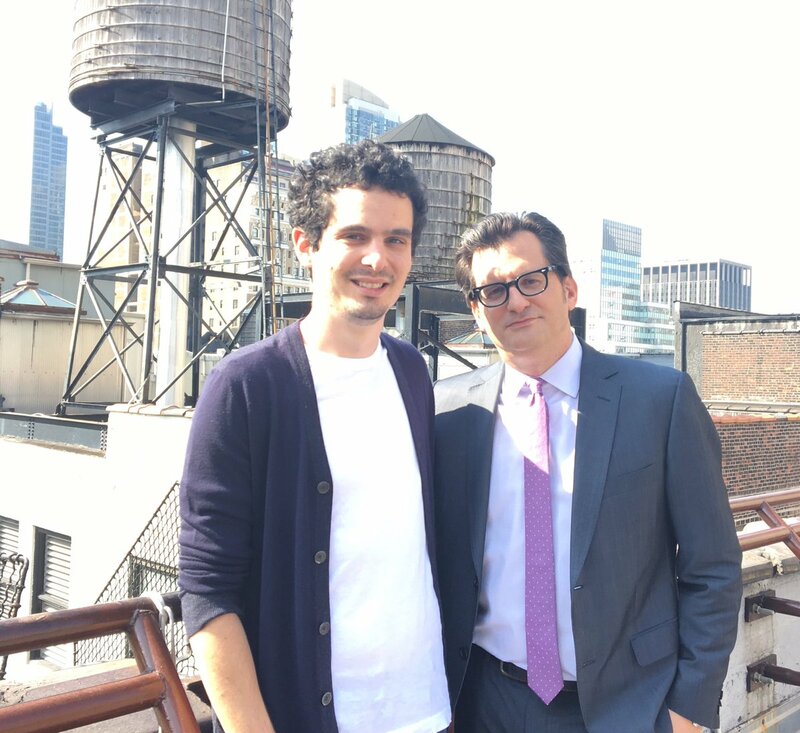 TCM host Ben Mankiewicz spent today interviewing filmmaker Damien Chazelle, whose upcoming musical LA LA LAND will open in wide release in the U.S. and Canada on December 16. Chazelle will be one of TCM's guest programmers in 2017. Date TBD. Damien has been scheduled for Wednesday January 18th. The full schedule is not up yet, but I do see IT'S ALWAYS FAIR WEATHER and MEET ME IN ST. LOUIS as two of Damien's selections. So it's going to be a night of musicals, obviously! I love that he opted for IT'S ALWAYS FAIR WEATHER as his first pick, rather than yet another airing of AN AMERICAN IN PARIS or SINGIN' IN THE RAIN. But we only know his first and third selections. The second one might still be one of those other two films. I'm hoping the other one is THE BAND WAGON or maybe a non-MGM musical. Damien Chazelle will discuss those films with TCM's Ben Mankiewicz on Wednesday, January 18, 2017. On the 17th of October, when you started this thread, you said Ben and Damien were filming the wraparounds. So that tells us they are currently filming these three months in advance. I think when Osborne did them, they were done up to six months ahead of airtime. Yeah. I believe that they usually record a couple of guest programmer wraparounds at once. I know that's how it was when Osborne was still hosting. For example, Osborne's wraparounds with guest programmer Richard Kind, which aired in March, were recorded in January of this year. But Osborne's wraparounds with Candice Bergen, which didn't air until June, were recorded around that same time. Ben Mankiewicz was asked on Twitter earlier this year how far in advance he records his TCM segments and he responded by saying: "Depends. Sometimes as little as 3-4 days, sometimes as much as 6-8 weeks, but less of the latter lately."